Some couples enjoy the idea of having twins. They may like the idea of having two babies at once or may like to have a big family with fewer pregnancies. The incidence of twins is increasing because more couples are having assisted reproduction, which increases the chances of having twins. Twins can involve having identical twins or fraternal twins. Having fraternal twins is more common than having identical twins. As mentioned, there are identical and fraternal twins. Identical twins come when a single egg is fertilized and it later splits to make two fertilized eggs, resulting in two babies that have the same chromosomes. Fraternal twins happen when a woman releases two eggs instead of one in the process of ovulation. 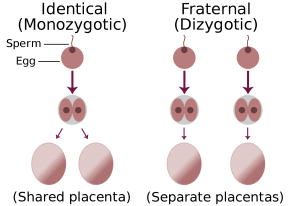 If both eggs are fertilized and implant into the uterus, the result is two babies, each with their own placenta and blood supply. Twins tend to run in families. This only applies to the mother’s side of the family and only applies to having fraternal twins. In some families, women tend to hyperovulate, so that they are more likely to release more than one egg per cycle, resulting in fraternal twins. 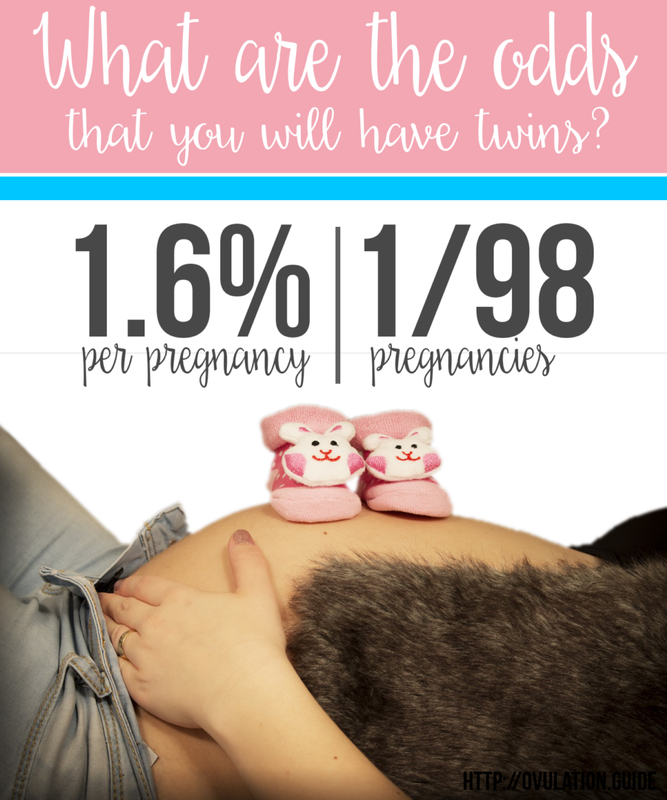 The odds of having twins is about 1.6 percent per pregnancy. This means that, in twins that are conceived naturally, 1 out of every 98 births result in some type of twins. Most of the time, the twins will be fraternal instead of identical. There really isn’t any good way of increasing the chances of having identical twins. Being of an older age. Women who are older tend to have an increased rate of putting out more than one egg per cycle when compared to younger women. This increases the chances of having fraternal but not identical twins. Having fertility treatments. There are medications that can be taken, such as Clomid (clomiphene citrate) that increase the chances of having more than one egg released. 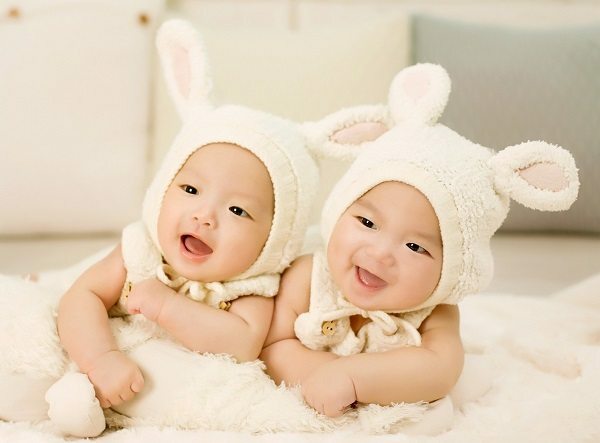 Things like in vitro fertilization or other fertility drugs will increase the chances of stimulating the ovaries so there is a greater chance of having fraternal twins. Coming from a family that has a lot of twins. If there is a tendency toward having fraternal twins on the mother’s side, there is a greater chance that she will also have fraternal twins. Being African-American. Women who are African-American have a greater chance of having twins when compared to Caucasian women. Having previous pregnancies. If you have had several other pregnancies, your chances of having fraternal twins is higher. Having a bigger family. This is just a matter of mathematics. The more times you are pregnant, the greater is your chances of having twins during at least one of the pregnancies. Getting pregnant on the pill. While being on the pill theoretically decreases your chances of getting pregnant in the first place, if you do get pregnant on the pill, you will have a greater chance of having a twin pregnancy. Getting pregnant right after stopping birth control pills. In the first few cycles after stopping the pills, your ovaries are more likely to release more than one egg per cycle, resulting in an increased chance of having fraternal twins. Having twins already. If you already have a set of twins, it means that you are one of those women who hyperovulate so that you have a greater chance of having fraternal twins in subsequent pregnancies. Being overweight. If you are overweight, your fat cells are putting out more estrogen, which increases the number of follicles in the ovaries that will release an egg so you have a greater chance of having fraternal twins. Being taller. Women who are taller have an increased chance of having twins. Unfortunately, there isn’t much you can do about your height. Taking folic acid before conception. Women who take folic acid supplements within a month of conceiving will have a greater chance of releasing more than one egg during that cycle, increasing the chances of having fraternal twins. Having the male eat oysters. This sounds crazy but the zinc in oysters increases sperm production. Healthier sperm will be more likely to fertilize any egg that happens to be available for fertilization. Being a twin. If you are already a twin, you are more likely to have twins yourself. This only applies to mothers, however. Eating more sweet potatoes or yams. In areas of the world where more yams or sweet potatoes are eaten, there is an increase in twins. Yams contain a phytoestrogen that increases the chances of releasing more than one egg. Women who are breastfeeding an infant produce more prolactin, which increases the chances of releasing more than one egg per cycle.